We are a team of over 50 full-time staff, and are supported by hundreds of members from all over the world. We continue to be touched by the commitment shown by our donors, members, volunteers and friends to support development in rural Kumaon in myriad forms. 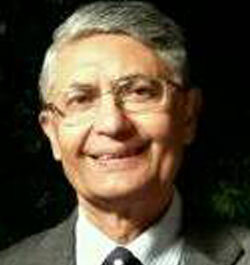 Dr. (Col) Chandra Shekhar Pant, M.D. FICRI, VSM, is the Chairman of Aarohi and steers its Community Health Program. (Col) Pant has made several unique and pioneering contributions in the areas of medicine, health services and social welfare over the years. He completed his MBBS in 1968 from University Of Rajasthan and his M.D in Radio Diagnosis in 1978 from University of Delhi. (Col) Pant has a distinctive list of awards and accomplishments, among the honours is the prestigious Vasisht Sewa Medal (VSM) awarded to him on Republic Day in 1987 by the President of India. Jyoti Patil has extensive work experience in the field of development communication. Education in development studies (International Institute of Social Studies, The Hague, Netherlands) and mass communication (Symbiosis Institute of Mass Communication, Pune) gives her a strong theoretical perspective, enabling her to integrate elements of effective communication with the needs of development sector. 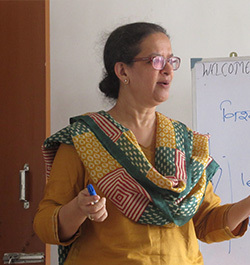 Jyoti has worked with various NGOs across the country designing communication strategies, evolving participatory methods of communication and producing information and other resource material. Premila Nazareth Satyanand has a keen interest in grassroots development issues, having lived in Satoli and volunteered with Aarohi since the mid-1990s. Premila has a B.A. in History from St. Stephen's College, New Delhi, and an M.A. in International Relations from Columbia University, New York. Professionally, she focuses on foreign direct investment. 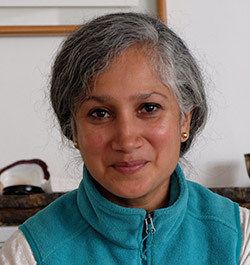 She has worked with the United Nations Centre on Transnational Corporations, New York, and the Economist Intelligence Unit, New Delhi, facilitating the Government-MNC dialogue on FDI liberalisation and advising foreign investors on India strategy. Ramchandra Anant Vaidya has been passionately involved in social-work activities since 1978. While handling the Corporate Social Responsibility (CSR) at Johnson & Johnson, he engaged with NGOs all over India, working closely with them on various social needs. During this period, he came in contact with Aarohi and got involved with supporting the organization. Ram started his corporate career with the Union Carbide. He then joined Johnson & Johnson in 1986, handling responsibilities in the areas of Manufacturing of Consumer and Medical products. Ram became the Director of Business Development and Medical Product Development at the Asia Pacific Regional level for the Corporate. 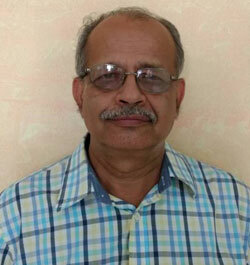 Ranjan Joshi has had an illustrious career in management, spanning over 3 decades. Ranjan was the Director, Facilities & Services in Andersen Consulting's Emerging Markets of EMEIA region. He was later responsible for providing geographical leadership to Accenture India office in the areas of IT, Finance, Human Resources, Marketing apart from Facilities & Services. 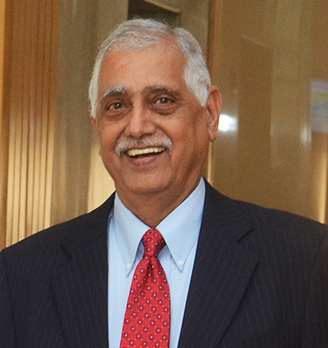 Ranjan started his career with IBM in 1970. He holds a Post Graduate Diploma in Management from the IIM Calcutta, and a Bachelor’s degree in Economics from St. Xavier’s College, Kolkata. Jagdish Singh Nayal has been with the organization since its inception and has seen it grow and evolve to its present day. He is the Treasurer and Chief Laboratory Technician at Aarohi. 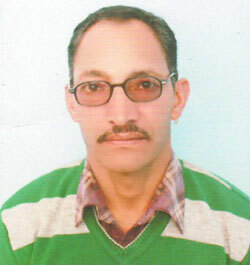 Jagdish completed his graduation from Kumaon University, Nainital, B.A. in Sociology. While working with Aarohi, he pursued a Post Graduate Diploma in Rural Development from Indira Gandhi National Open University (IGNOU). 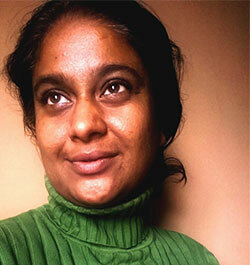 Lopa Gandhi has over 15 years experience in the field of education. She is the founder of Ugam Education Foundation (June 2015). Lopa has experience teaching students, designing and developing curriculum, training teachers, HR management and coaching of NGO and government teachers and Head Masters. Lopa was a teacher, Head of Human Resources, and Principal Coach at Akanksha Foundation. She led Muktangan as the Project Director. Lopa has been involved as a Master Coach and senior design team member with Kaivalya Education Foundation. She has worked with several NGOs such as Catalysts for Social Action, ISLI, CENTA among others.